Ride for the Feast Blog: Play for the Feast! 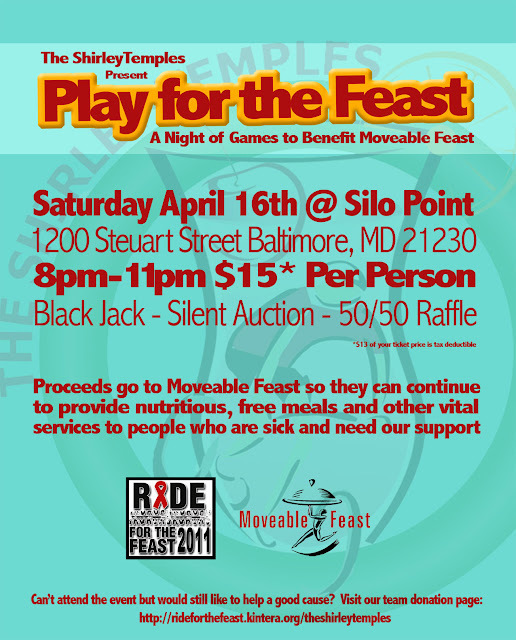 This event takes place at the Game Room at Silo Point, located at 1200 Steuart St, Baltimore MD 21230. For more information, please contact Tom Mayer. "Vote for the T-Shirt Design"
"Training Rides & Bike How-To's"
"One Hundred & Forty Miles"
FRIDAY: Drink With A Purpose!